Have you ever looked in the mirror after doing your makeup and thought to yourself “it's good but why doesn't it look like [actress/character]?” I know I have. Well, if any of those characters/actresses you're admiring wear glitter eyeshadow, you're in luck! 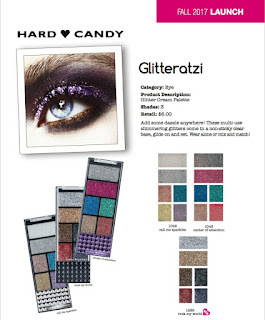 Hard Candy’s Glitteratzi line is absolutely amazing. 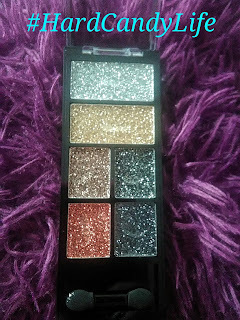 I was fortunate enough to be able to review their newest pallette, Rock My World. And it definitely did rock my world. For my look, I used a previously owned eyeshadow as my base, and then I added some Glitteratzi in gold. The effect was instantaneous: goodbye good-but-not-great casual look, hello straight-off-the-red-carpet look! 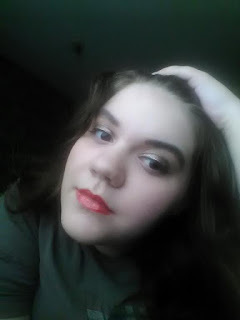 I felt confident, powerful, and beautiful in my Glitteratzi makeup, to the point where I'm fairly sure I had a Power Walk going on for the rest of the day. If you want to feel like Wonder Woman, then this is the eyeshadow for you. And the great thing is, You can use it on your face and body also. With Halloween fast approaching (and all those comic conventions in between), the Glitteratzi line would serve cosplay wonderfully. 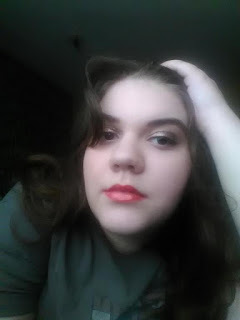 I myself attempted a Poison Ivy look but it...erm...was an epic fail. But this eyeshadow is definitely not. I love it, and I'll continue using it for as long as I can! The Fall 2017 Hard Candy Glitterazi Cream Palette for eyes is multi use shimmering glitters with a non stick clear base, glide and set. The Hard Candy Glitterazi Palette is available in 3 shades.